Let Us Custom Design Your Next ESD Part ions Sets! Anti-static and Conductive plastic packaging protects sensitive components during work in progress, order picking, storage and transport. Let Us Custom Design Your Next ESD Partions Sets! Using ESD plastic corrugated can significantly reduce packaging, shipping, and handling costs and protect your product from damage. Our ESD plastic corrugated is designed and engineered with each customer’s needs in mind. Using ESD plastic corrugated can significantly reduce packaging, shipping, and handling costs and protect your product from damage. 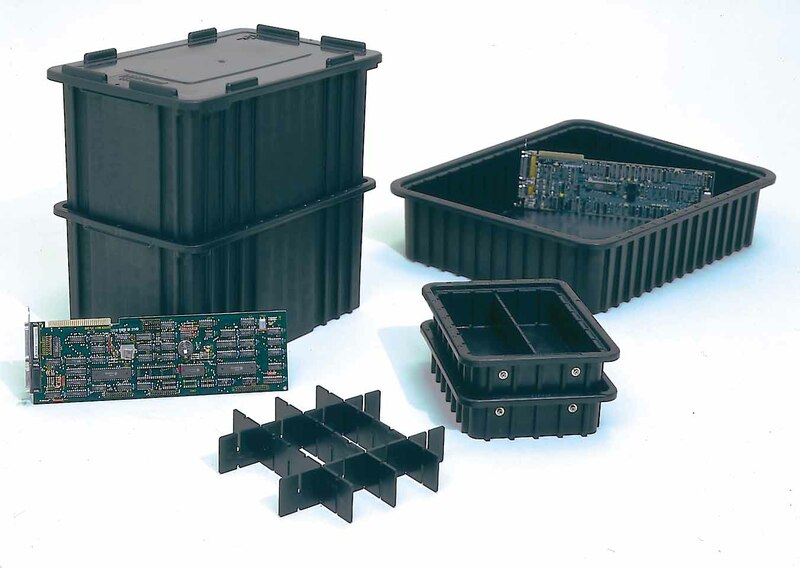 Our ESD plastic corrugated is designed and engineered with each customer’s needs in mind. ESD fluted plastic is a uniquely durable and versatile material. Plastic liners are fused to plastic fluting forming a sheet that is moisture proof and chemical resistant. It's lightweight, will not break down even under extreme conditions, and is 100% recyclable. Corrugated plastic is cost-effective and easily fabricated to meet any specification. With the wide range of properties unique to corrugated plastic, the possibilities are virtually limitless.